Given the great deal of attention paid to music and autism, it is surprising to discover that autistic people have rarely been asked to account for how they themselves make and experience music or why it matters to them that they do. In Speaking for Ourselves, renowned ethnomusicologist Michael Bakan does just that, engaging in deep conversations - some spanning the course of years - with 10 fascinating and very different individuals who share two basic things in common: an autism spectrum diagnosis and a life in which music plays a central part. Nearly 75 years ago, Donald Triplett of Forest, Mississippi, became the first child diagnosed with autism. Beginning with his family's odyssey, In a Different Key tells the extraordinary story of this often misunderstood condition and of the civil rights battles waged by the families of those who have it. Unfolding over decades, it is a beautifully rendered history of ordinary people determined to secure a place in the world for those with autism - by liberating children from dank institutions, campaigning for their right to go to school, challenging expert opinion on what it means to have autism, and persuading society to accept those who are different. It is the story of women like Ruth Sullivan, who rebelled against a medical establishment that blamed cold and rejecting "refrigerator mothers" for causing autism, and of fathers who pushed scientists to dig harder for treatments. 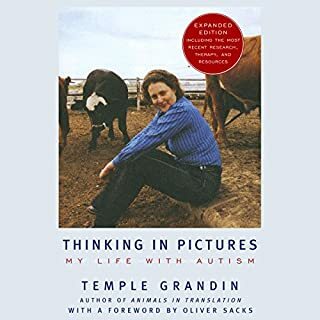 Many others played starring roles, too: doctors like Leo Kanner, who pioneered our understanding of autism; lawyers like Tom Gilhool, who took the families' battle for education to the courtroom; scientists who sparred over how to treat autism; and those with autism, like Temple Grandin, Alex Plank, and Ari Ne'eman, who explained their inner worlds and championed the philosophy of neurodiversity. This is also a story of fierce controversies - from the question of whether there is truly an autism "epidemic" and whether vaccines played a part in it to scandals involving "facilitated communication", one of many treatments that have proven to be blind alleys, to stark disagreements about whether scientists should pursue a cure for autism. There are dark turns, too: We learn about experimenters feeding LSD to children with autism or shocking them with electricity to change their behavior; and the authors reveal compelling evidence that Hans Asperger, discoverer of the syndrome named after him, participated in the Nazi program that consigned disabled children to death. By turns intimate and panoramic, In a Different Key takes us on a journey from an era when families were shamed and children were condemned to institutions to one in which a cadre of people with autism push not simply for inclusion but for a new understanding of autism: as difference rather than disability. The best biographies (or histories) are those which transcend the story that is being told. One does not even have to be interested in Autism to appreciate fully what the authors have done with this book. The arc of the story is tied together by how our understanding of the nature of Autism has changed from its early days until today and how complex it is to do science right. The authors usually tell their history by focusing on particular characters and put them into the context of the time period. The science of the times at first (psychoanlytical theories) blame the moms ('refrigerator moms") or next with the behaviorist use 'cattle prods" or slapping for dealing with the autistic children. The moms (and dads) are some of the real heroes. They realized that the status quo was not acceptable and not effective. Pre-internet days they did what they could and organized and made a difference. Sometimes, we lose sight of the fact how important individuals can be in changing the accepted scientific norms. Kindness, understanding and patience turned out to be more effective strategies. The labels (the definitions) we give determine how we understand. 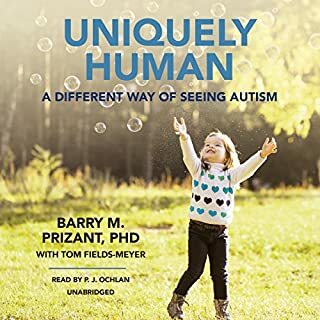 The authors step the listener through many different ways we thought about Autism and by doing that the listener gets a good understanding of what Autism means. I even understand why the DSM V has dropped the Asperger category and why it's best thought of as part of the Autism Spectrum. The authors are always neutral in their reporting of the facts and let the science speak for itself. They cover in detail why vaccines do not cause Autism, why some people can reasonably think about Autism as neurdiverse (v. neurotypical), and why there is probably no epidemic in the growth of Autism, and how important it was to educate the public about the reality of Autism through all means possible. 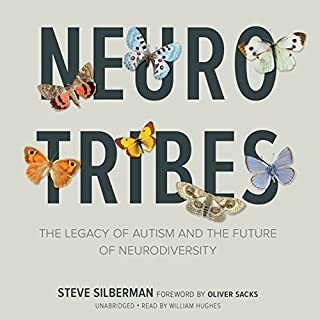 The book gives a good perspective on how and why we think about Autism the way we do today, and how science can be fluid but seems to have a self correcting mechanism (albeit sometimes acting at a snails pace) within it, and how individuals do make a difference even when they are not part of the scientific tribe. At first glance, this audiobook may seem intimidating. The Audible version is just over 23 hours long. However, the subtitle, "The story of Autism" is quite correct because this is a narrative. It is engaging and interesting and tells the history of Autism in a story format, incorporating the stories of those who were involved. The Audible chapters are generally 20-40 minutes, meaning it can be taken in neat smaller chunks. For the most part, it can be listened to around children except for the chapter on FC where graphic sexual abuse allegations are made and the occasional cuss word from quotations elsewhere. The narrator has a pleasant voice and is easy to listen to. The book begins with Donald Triplett, the first child diagnosed with Autism. It goes back into the past, to explore historical cases of possible Autism to explore the assertion that "Autism has always existed." It looks at the rise and fall of the "refrigerator mother," the movement to stop institutionalization, and the movement to get children with Autism the option to go to schools with "normal" children. It documents the timeline of researchers looking at the symptoms, causes, prevalence and biomedical issues concerning Autism, including the war on vaccines. It looks at the organizations who stepped up to spread awareness for the condition and helped to fund the first studies about it. 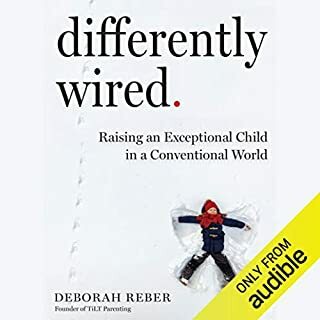 When scanning the reviews after starting the book, I saw several reviewers criticize the book for being about "the parents of children with Autism" and not more about the disabled people instead. I find it hard to believe that these people read the entire book. There are many individuals with Autism who are portrayed prominently in the book. There are also a lot of parents of children with Autism who are featured, but with good reason. The first reason is that most of the "high functioning people with Autism" who would be capable of arguing about the perception of Autism would not have even been considered Autistic when the diagnosis was originally conceived. And of those who were, a great majority were locked away institutions and would not have received an education to help them be able to be leaders in the Autism community. So, yes, a lot of parents are involved in the story of Autism because they were the ones who fought for change because their children were not able to speak for themselves. Only after parents pushed for education and services and non-institutionalization and after Asperger's Syndrome was added to the mix, did we see higher functioning people with Autism leading "normal" daily lives, getting careers and starting to speak for themselves. 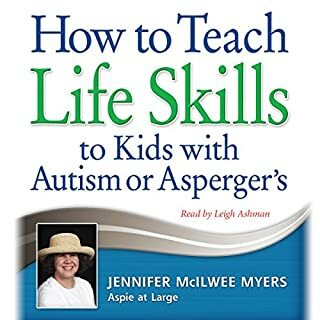 Toward the end of the book, there is a confrontation between a mother of a child with severe Autism (who has medical issues, seizures and gastrointestinal issues related to his Autism) and an activist who has high functioning Autism. The activist says that Autism does not need a cure, while the mother asserts that this normal-looking person with Autism who can talk and drive does not necessarily speak for her son who in his sickened condition, probably does not want to exist this way. The book resounded with me, both as a mother of two daughters with Autism and as a licensed teacher in special education. I recommend it to anyone looking to learn more about Autism and for educators as well. It has a great balance between narrative story and technical details that will appeal to the general public and higher education alike. Would you consider the audio edition of In a Different Key to be better than the print version? I listened to audio edition and then decided that in order to avoid writing down everything important, I need to get a copy of this book so I ordered it. Facts, Truth, Perspective, Information, etc. When I was told my son autism. I had lost hope of him having a "normal" life. Wanted to run from it. Now I can see its not the end. It took me a chapter or two to get into this book and from there on, I found it completely interesting. My heart ached for what some parents have gone through, especially with the stigmas that were placed on them before the 1960's, when autism was even less understood. I was inspired by the courage of parents and professionals in their determination to understand what autism is. Understanding Autism is still in progress. I could say much more however I will simply tell you to listen to the book. If you are at all interested in autism, this book gives a comprehensive history on when Autism was first recognized, when it was named, mis-diagnosed, diagnosed, the search for the causes - from the past, all the way through the 20th century up until now. The narrator had the perfect tone, pitch and speed for my easy listening. I recommended it. 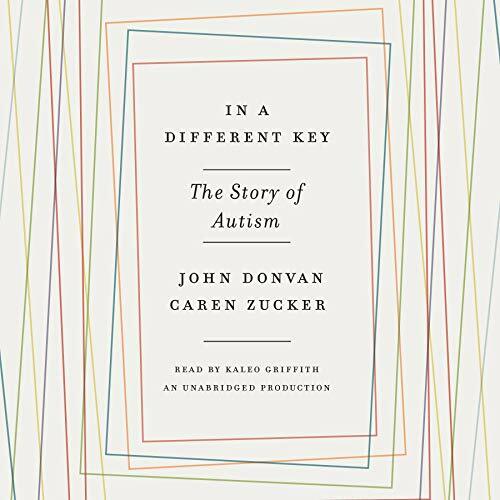 Well written and narrated, this book is fascinating history of how autism and its treatments evolved in the fields of psychology and education. An overview with a good amount of detail the book includes stories conveying the experiences of individuals within the history. 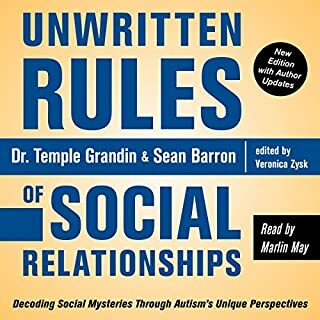 In my opinion, this should be required listening for any professional that works with people with autism, parents, and family members. This story was obviously written by two real professional writers.The story of autism is covered from the earliest days of evidence of people who had autism centuries ago up into the present. The scientific, the social and the political aspects of the subject are all covered. And yet, this is a very personal story of real people whose experiences are richly conveyed. The narrator's performance could not have been any more suited to the topic. The book is a superb listen. The personal narratives are rich. But I anticipated learning more about what science has gleaned regarding autism. I have read many books on autism and this the best. A little too verbose at times but overview is great! The reader does an excellent job.